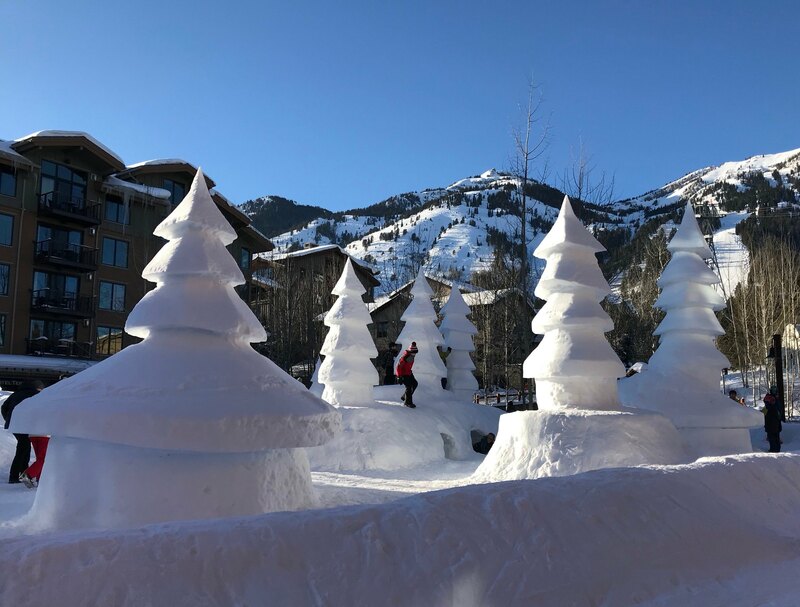 A number of years back, we added Jackson Hole Mountain Resort to our bucket list of family ski holiday destinations because it was said to have and abundance of character – an attribute that we value very highly. We had already managed to tick off both Telluride (CO) and Alta (UT) from our rather long list (both exceptional for character) and it was time for us to visit a new state – Wyoming. There were several other things that made the prospect of visiting Jackson Hole with kids appealing to us. For my husband and son, it was its reputation for steep and deep runs (check out Corbet’s Couloir, the second steepest inbound run in the world). 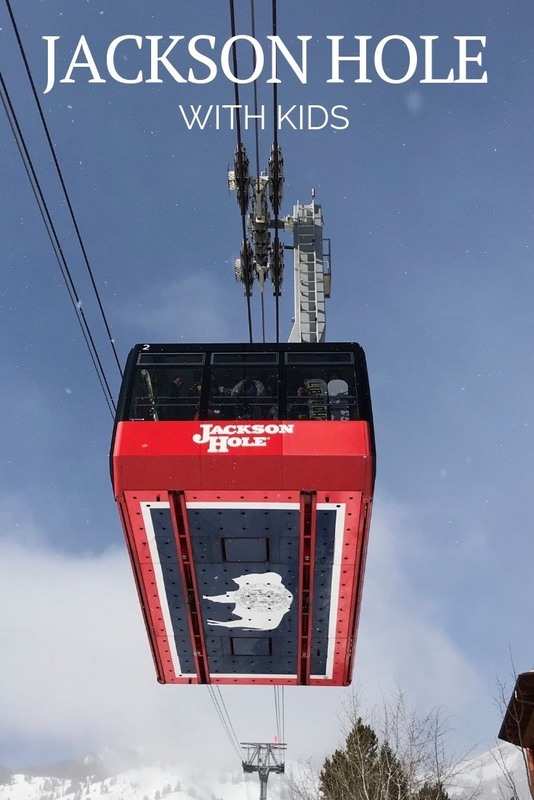 Encompassing two mountains (Apres Vous and Rendezvous), Jackson Hole Ski Resort also promised an abundance of terrain, with over 2,500 skiable acres and 4,139 feet of vertical drop. For me, a person who tends to avoid runs with words like “couloir” or “chute” in their names, it was the lure of Jackson Hole’s spectacular mountain and valley scenery. 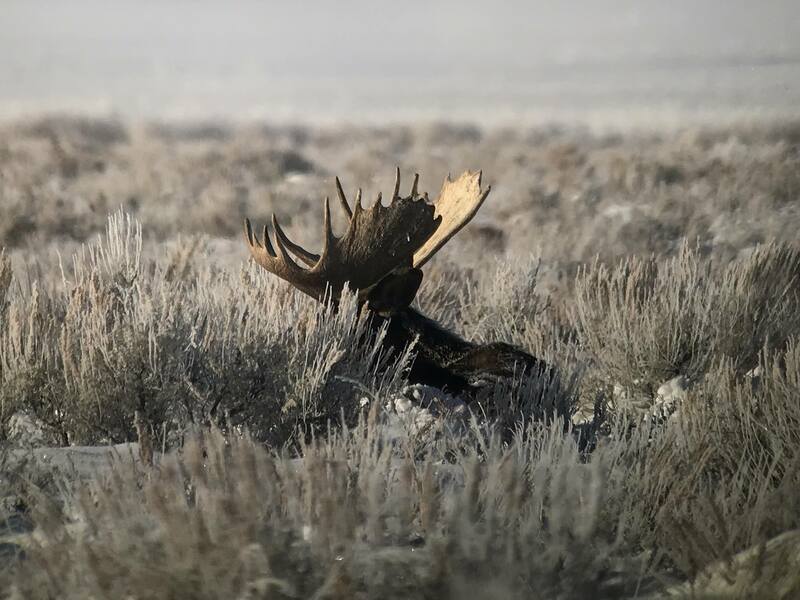 Furthermore, while doing my research, I learned that the region had an abundance of viewable wildlife – elk, moose, bison, big horn sheep and more. It seemed like the perfect setup for a Wyoming family ski vacation. Please read on to see everything we enjoyed during our Jackson Hole family vacation or start with this quick 2 minute video. Is a Jackson Hole Right for You? 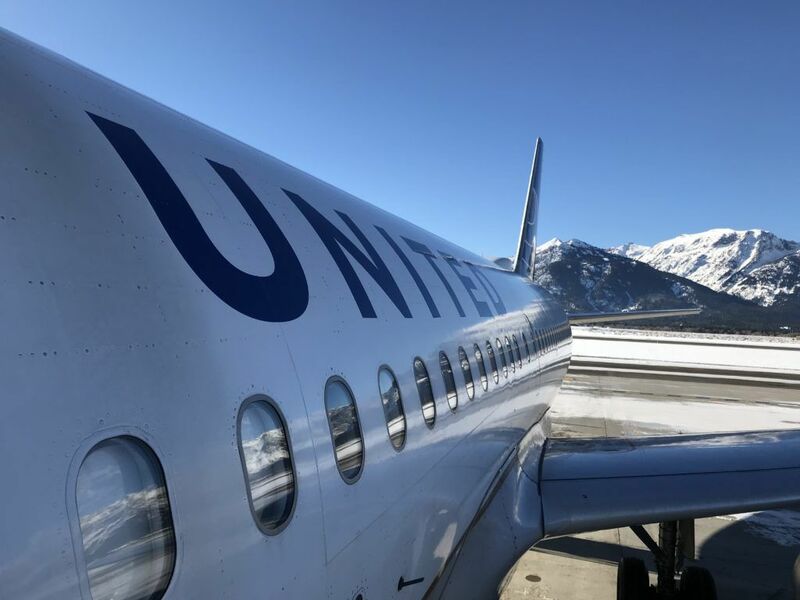 Our Jackson Hole family vacation really began as we waited to hop on our connecting flight from Denver to Jackson Hole. My daughter (a lover of all things Texan) whispered to me “Mom, I think they wear cowboy hats and cowboy boots in Jackson Hole too!” Sure enough, there were some real beauties on display. The flight itself was also unique. 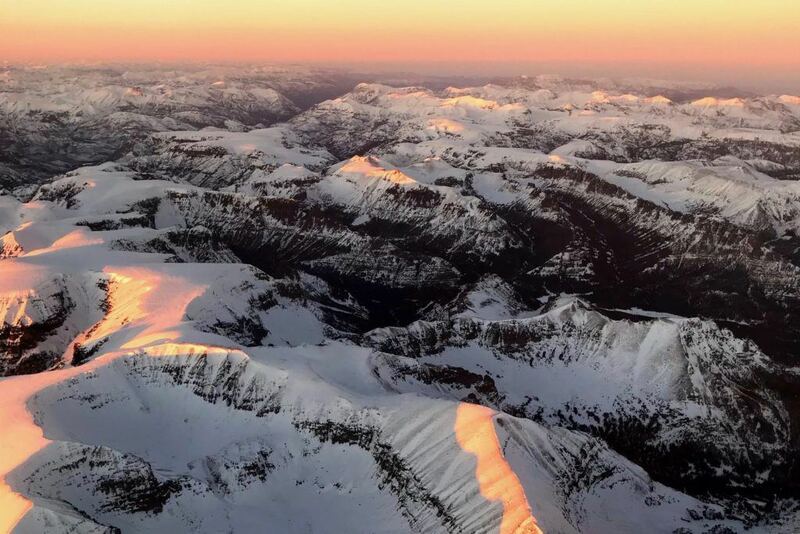 Although I am no stranger to a mountain view from an airplane window, the view of the Teton Range as we descended towards Jackson Hole almost took my breath away (the photo below hardly does it justice). Even my kids felt inclined to look up from their video games. When we travel, my kids are only allowed to play games on flights, so it has got to be good for them to peer up with those bloodshot eyes. Once we landed at the very charming Jackson Hole Airport, it felt like a coming home party. Locals were welcomed back with strong hand shakes, hugs, and high fives. 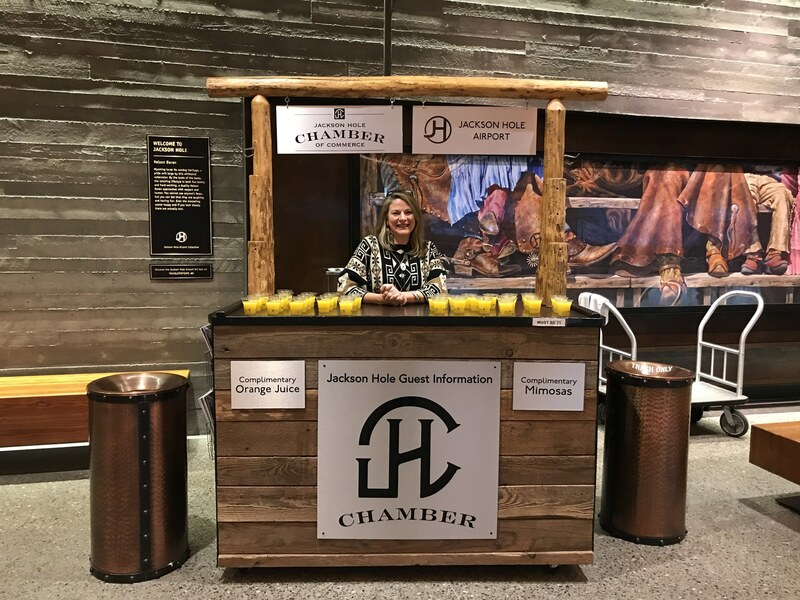 The rest of us received a warm Wyoming welcome from the Jackson Hole Chamber of Commerce in the form of mimosas and orange juice. Outside of a tropical island, I don’t recall ever being offered a cocktail while waiting for my luggage. It made that whole waiting process so much more enjoyable! 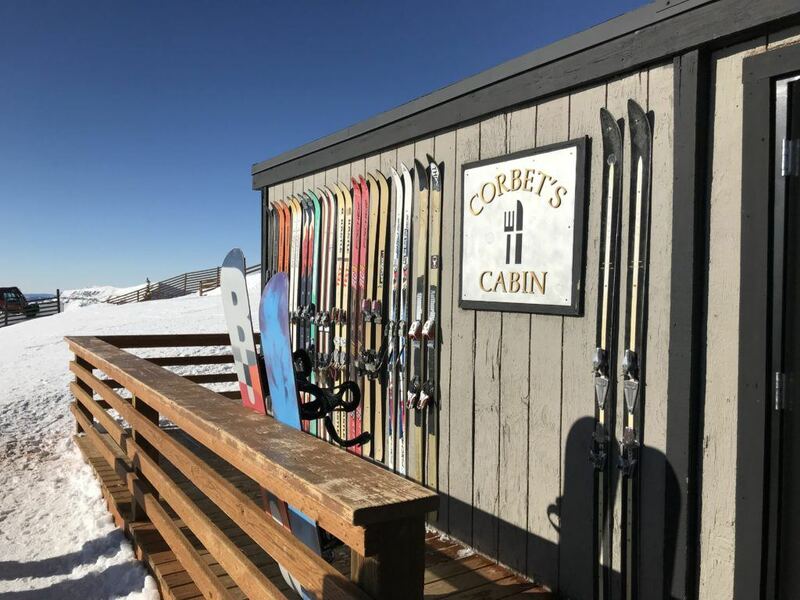 Perhaps it was the libations, but it honestly felt to me like there was an excitement or energy in the air as eager skiers and boarders waited for their gear to come off the plane. As we studied our Jackson Hole Mountain Resort trail map on our first morning, we definitely started to get a feel for the exciting challenge that lay ahead for the next few days. As was expected, the terrain was definitely geared towards the intermediate-to-expert ski and boarding crowd with over 90% of the runs being blue, black or double black. For us, it was a perfect fit. Our kids (11&14) have been skiing since the age of 3 and can manage their way down most runs (albeit sometimes slowly). As is our style, we used our first day to tour the mountain, working our way through most of the gondolas and lifts. While this is something we like to do on our own, Jackson Hole also offers free Mountain Host tours meeting daily at 9:30 a.m. in front of Walk Festival Hall. Despite the rather advanced terrain, the resort also has some fantastic lessons and infrastructure for kids. Conveniently located right at the base in Teton Village is the Kids Ranch which houses the Jackson Hole daycare* (6 – 36 months) and offers lessons and programming for kids 3-7 years. 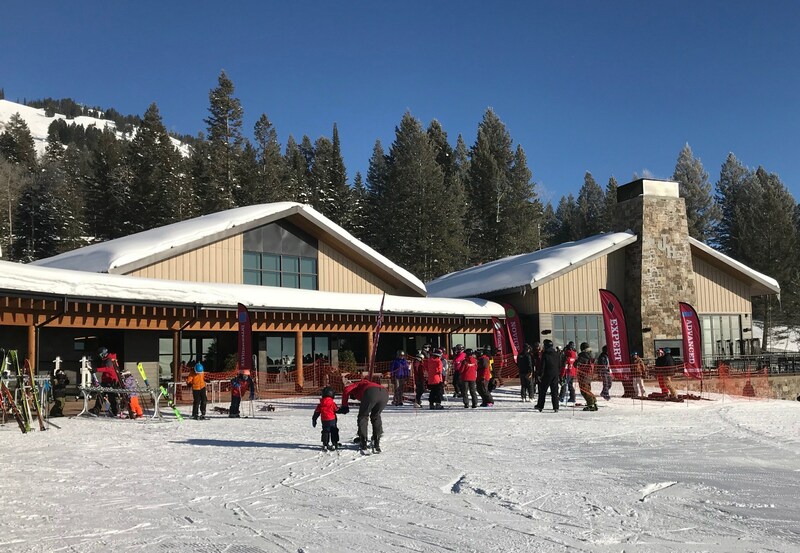 Recently added to the resort is the 12,000 square foot Mountain Sports School, catering to kids 7 years and up, teens and adults. It is easily reached from the village base via a 2 minute ride up the Sweetwater Gondola to the mid-mountain Solitude Station. As a parent, something I really appreciated was the fact that if you have kids of different ages that need to be in two different places, you can drop all of them off at the Kids Ranch and they will take care of getting any older ones to the Mountain Sports School. 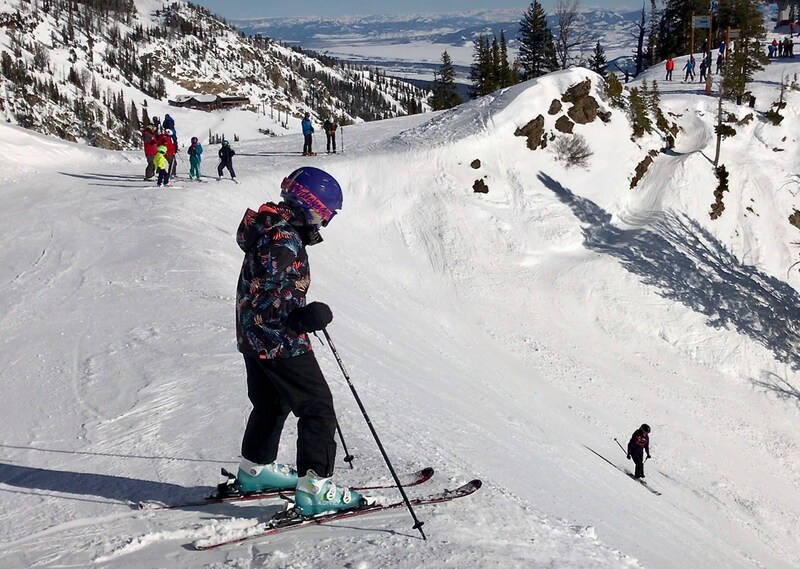 See the full list of Jackson Hole lessons here. *If you are in need of daycare at Jackson Hole, I recommend that you book this ahead of time as there are state restrictions on the number of children that a childcare facility can have at one time. When my kids were little, daycare was one of the first things I would reserve for a ski vacation, especially during peak times. 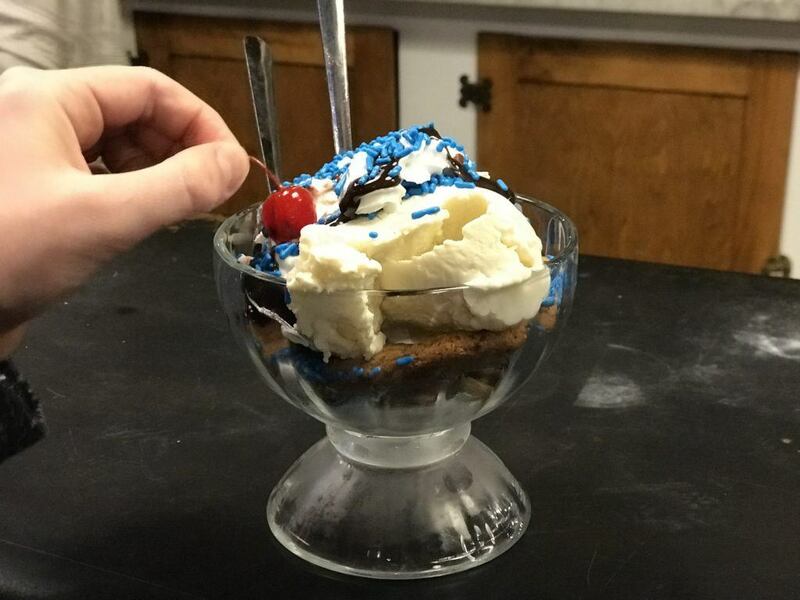 My daughter and I have a particular fixation with food while skiing (earning our treats with every turn). During our time at Jackson Hole we enjoyed on-mountain dining at both the Rendezvous Lodge (ski resort staples such as chili, burgers, and wraps) and had a fancier lunch at Piste Bistro (has a kids’ menu). For a mid-afternoon pick-me-up, we took the the Aerial Tram (Big Red) to Corbet’s Cabin to enjoy made to order waffles with nutella. If you are more adventurous, you can try their peanut butter and bacon topped waffle. It should be noted that the terrain at the top of the Aerial Tram is expert only, but you also have the option of taking the tram back down to the village (which is exactly what I chose to do with my daughter while my husband and son skied down). Après ski is a lively affair in Teton Village. We enjoyed kicking back after a big day on the mountain with an enthusiastic crowd and live music at the Mangy Moose. 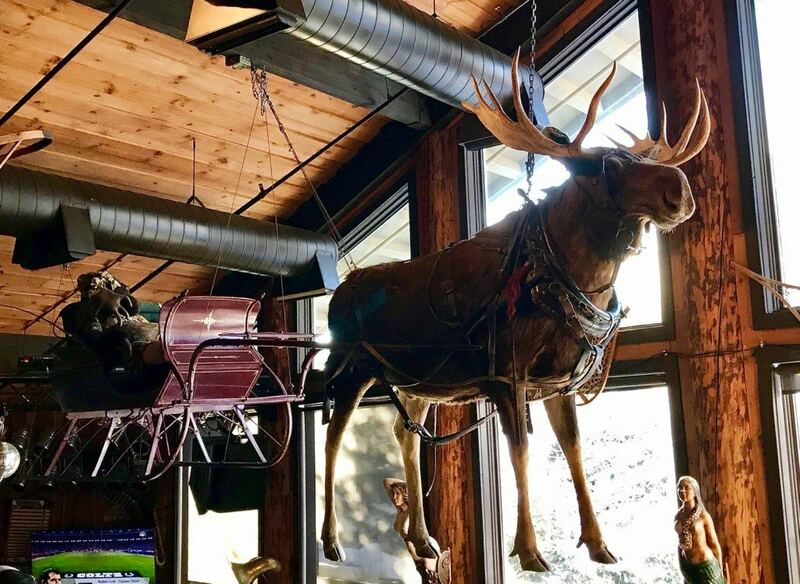 For me, the Moose had the perfect, old school (and perhaps slightly gritty) ski bar feel, and yet was still very family-friendly. For something a little more upscale, try the Handle Bar in the Four Seasons or The Spur in the Teton Mountain Lodge. 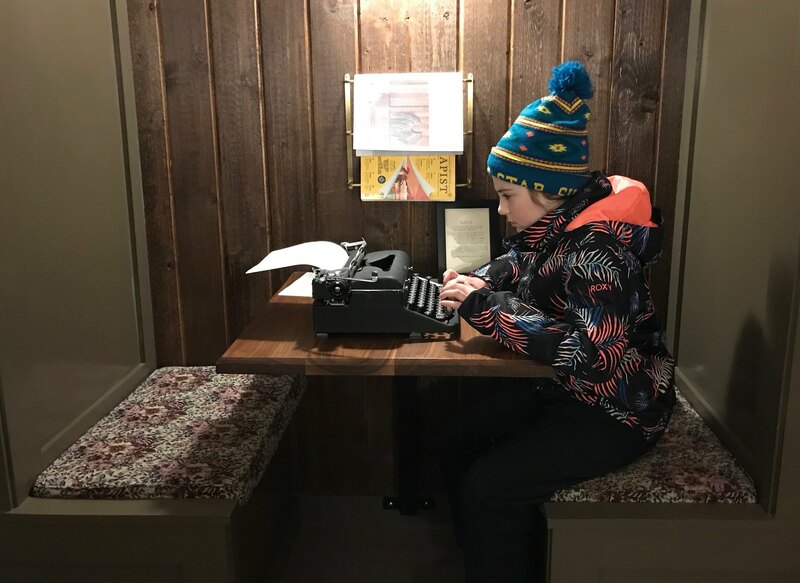 Since most kids seem to still have an abundance of energy to expend after their day on the mountain is finished, here are a few more things to do in Jackson Hole with kids. Right in Teton Village at the base of Jackson Hole Mountain Resort, there is a nice little outdoor skating rink with skate rentals (open 3-9pm during the winter season). There is also a really cute little kids snow fort play area right beside the rink. Prior to your visit, I would recommend checking out the Jackson Hole website events page for Kids’ Night Out dates at the Kids Ranch (so parents can enjoy a quiet dinner out) and other special family-friendly events. For example, while we there, the Teton Raptor Center was hosting a weekly birds of prey experience in the Four Seasons Resort library (all ages). Other off-mountain activities include sleigh rides within the nearby National Elk Refuge (allowing for close up elk encounters) and eco tours within Grand Teton National Park. 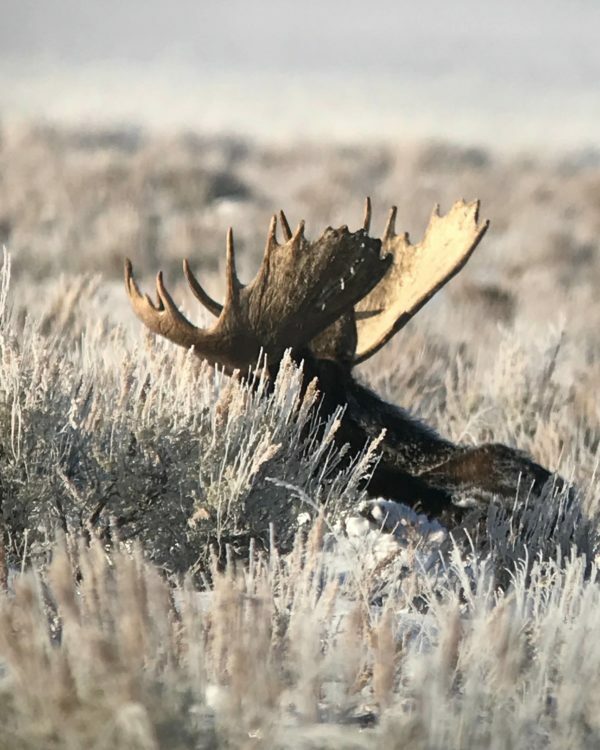 My son and I enjoyed a wonderful and informative sunrise tour with Jackson Hole Wildlife Eco Tour Adventures where we saw bison, moose, bald eagles, big horn sheep and more ! See the full post on our Jackson Hole wildlife tour here. The town of Jackson itself is really very cute and just overflows with old west charm. If you are staying in Teton Village, I do recommend visiting if you have the time as it is only a short 20 minute drive (or bus ride) away. 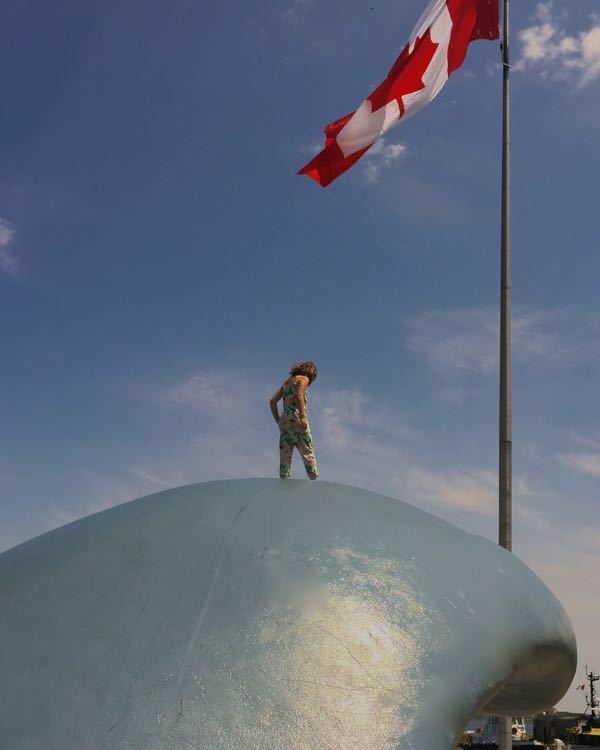 Upon arrival, we were surprised to discover that it actually backs onto a little ski hill – Snow King Mountain. While pint-sized at only 400 acres, the mountain offers day and night skiing as well as tubing. 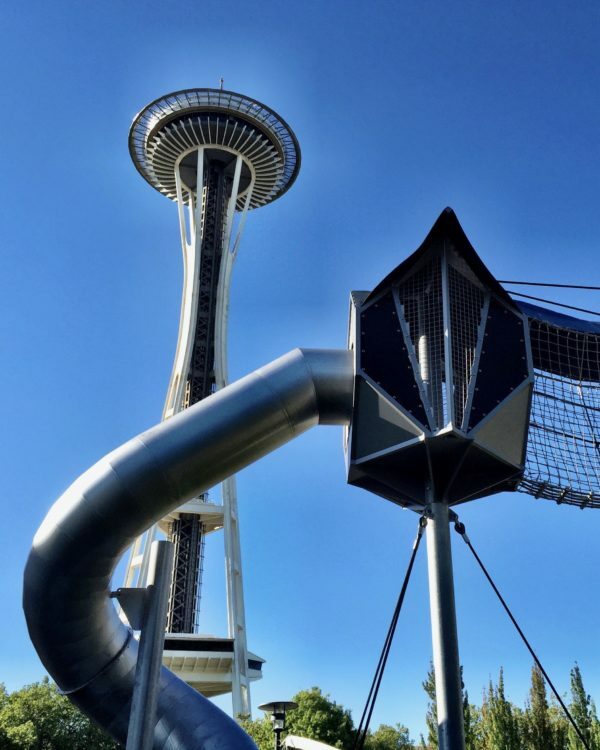 It even has a little roller coaster (the Cowboy Coaster). Jackson has a picturesque town square and outdoor skating rink that is surrounded by a number of ice cream shops including Moo’s Gourmet Ice Cream , and Jackson Drug (my kids loved their build-your-own-sundae option). The western themed Jackson Hole Toy Store gets huge props from adults and kids alike for their fun shooting gallery, well curated selection of toys and excellent customer service. For people looking for things to do in Jackson Hole with toddlers, the very interactive Jackson Hole Children’s Museum has fun hands-on, role-play activities for little ones. For a family friendly evening, Hole Bowl offers up not only 10 pin bowling, but also pool tables, arcade games, shuffle board and surprisingly good food in a modern and stylish space. We chose to stay in Jackson and rent a car to get to the mountain. We planned it that way because we really wanted to see what the town had to offer. We also have school-aged kids that can get ready for the mountain on their own in the morning. If we were visiting Jackson Hole with a toddler or young child in ski lessons, we absolutely would have stayed in Teton Village just so we would have one less hurdle in the mornings. I remember well the challenge of getting my kids dressed and off to their lessons only to realize that we had dropped a glove somewhere along the way. Staying in Teton Village makes is just that much easier. As far as the best family hotels in Teton Village, it’s hard to beat the 5 star Four Seasons Resort. 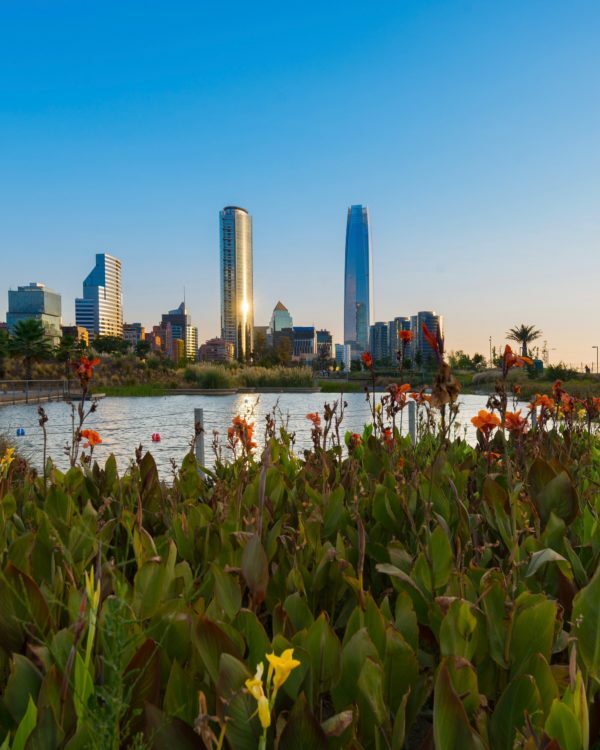 This lovely luxury hotel group just does a phenomenal job with families. 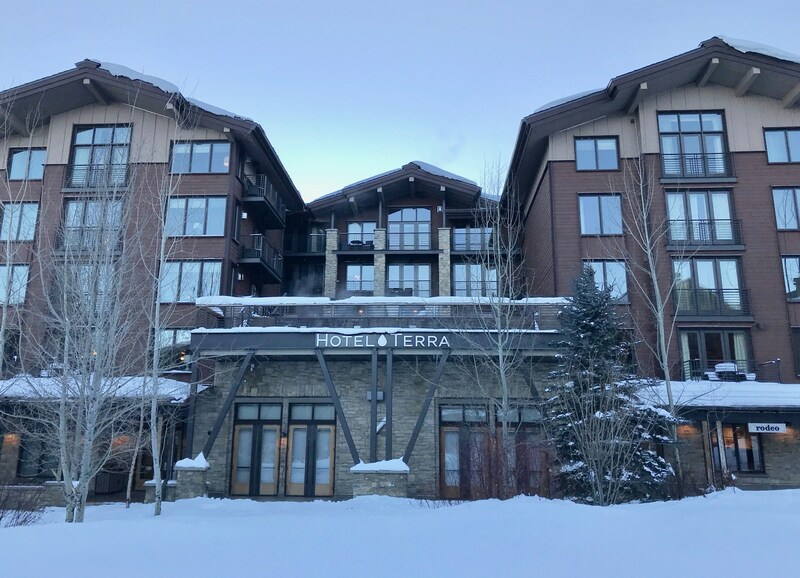 If this property is out of the budget (which it is for most of us), check out the Hotel Terra Jackson Hole. Also very upscale, they have a number of family friendly 1-3 bedroom suites, and the property is conveniently located right beside the kids snow fort and ice skating rink. They also have a family-friendly Italian restaurant within the hotel (Il Villaggio Osteria). 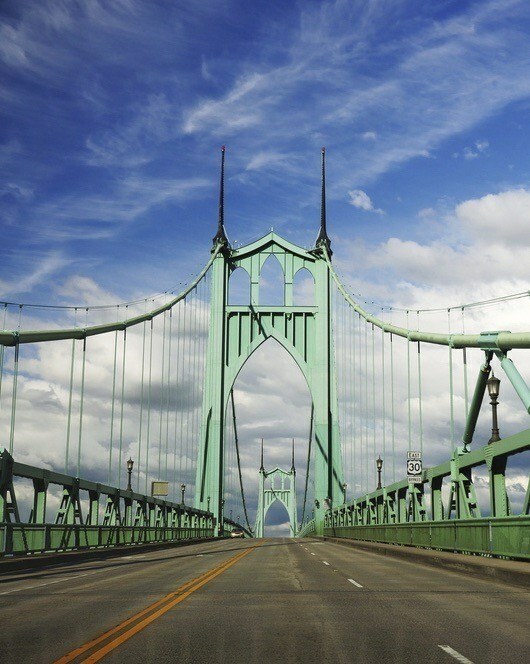 There are also many great hotels in the town of Jackson. If you don’t mind the short bus, shuttle or drive to the mountain, it can also provide a much more affordable alternative to staying slope-side. There are several western-influenced, luxury hotels that do a great job with families including The Wort, The Wyoming Inn, and The Lodge at Jackson Hole (has a pool), while the hipster Anvil Hotel makes for an excellent budget-friendly choice. If you require Jackson Hole child care, Jackson Hole Babysitting offers their services in both Jackson and Teton Village. 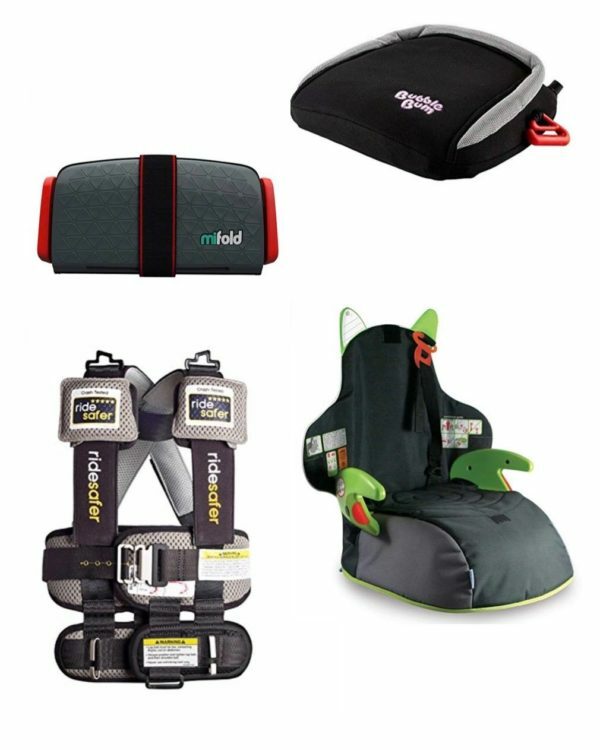 For Jackson Hole baby gear rentals, you can find a selection of baby equipment at Jackson Hole Baby Gear. 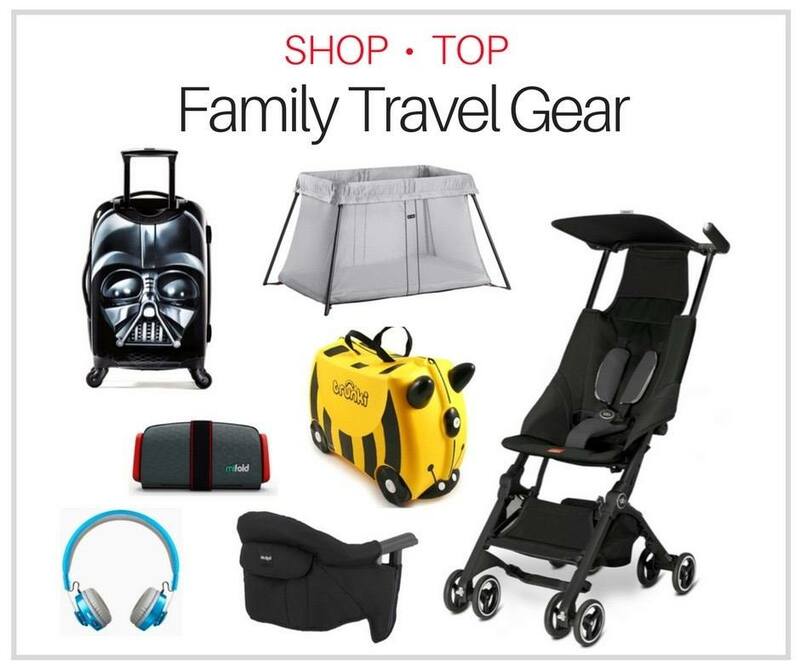 They even offer a shopping service where they will get you all stocked up with diapers, wipes, formula and more, saving you the hassle of having to pack it with you or shop for it all upon arrival. Jackson Hole Airport (JAC) is located 20 miles from the resort and has nonstop flights from 12 major US cities. 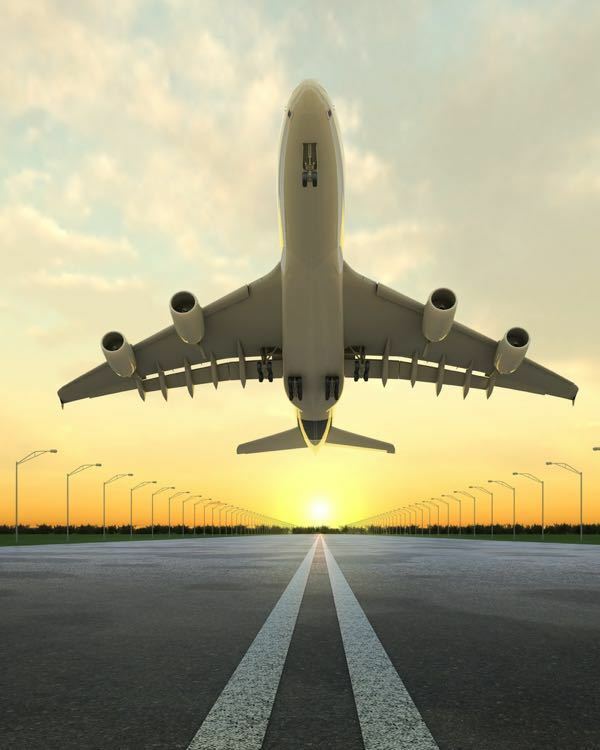 Upon arrival at the airport, you are an easy 36-minute drive to Jackson Hole Mountain Resort by car, taxi or rental car . You can also easily travel between the town of Jackson and Teton Village by using the affordable public bus system (START). Uber and Lyft both operate in this area. Jackson Hole was the perfect fit for our family as our kids are advanced skiers and it offered an abundance of terrain. It also would have worked well for us when our kids were in ski daycare or in beginner lessons. I was one of those parents who counted down the days until my children were old enough to attend ski daycare (6 months) and really relished those moments when, if only for a few hours, I could ski like my pre-child self. While at Jackson Hole, we met up with a friend of mine from Australia who was visiting with her husband and 7 year old son (who went to kids lessons at the Mountain Sports School). My friend is an intermediate skier and when I asked for her opinion on the resort she did comment on the lack of green runs. While for the most part she was fine on the blues, when her legs were tired in the afternoons and she wanted a more relaxing run (green), she found the terrain options limited. That said, she still very much enjoyed her Jackson Hole family vacation, including a family sleigh ride within the Elk Reserve. I really hope you enjoy your trip to Jackson Hole, Wyoming with kids ! If you know of (or discover) more wonderful things to do with kids in Jackson Hole, please share with us in the comments below. Disclosure: During our time in Jackson Hole we were kindly offered complimentary lift passes at Jackson Hole Mountain Resort. All other expenses were covered by yours truly and all opinions in this post are entirely my own. 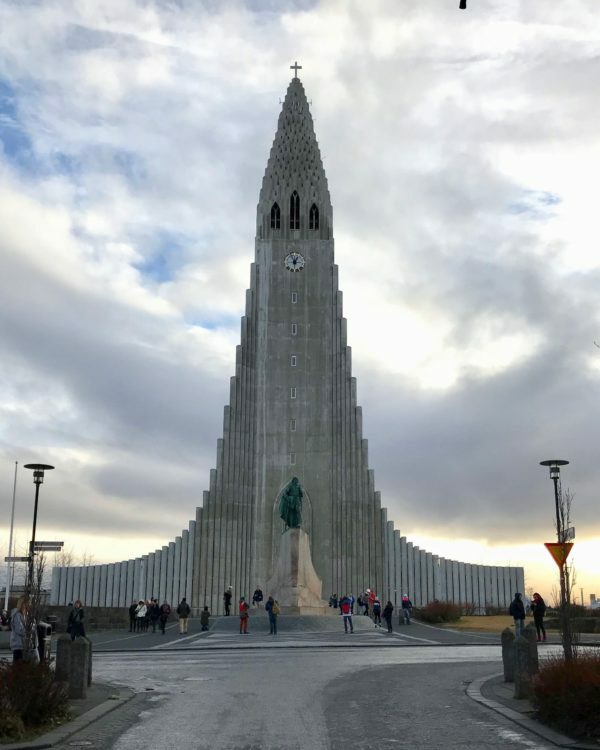 As always on this site, I strongly encourage you to also thoroughly read recent reviews from other family travelers prior to making a travel booking. 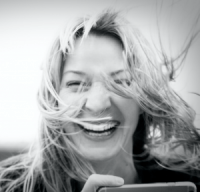 Tara was phenomenal for us to assist with her and her family. She so much more than was expected.. Thank you Tara! !